Today I wanted to share a little peek at the latest box from #paperhaul, the monthly stationery subscription box from Crafty Creatives. This month's box of pretty pastel shades included gift tags, cards, postcards and a small notebook which this time around is filled with dotted grid style paper - my personal favourite! Each print is made up of simple shapes ranging from triangles to stars, teardrops, polka dots and waves creating a lovely collection of versatile pieces. 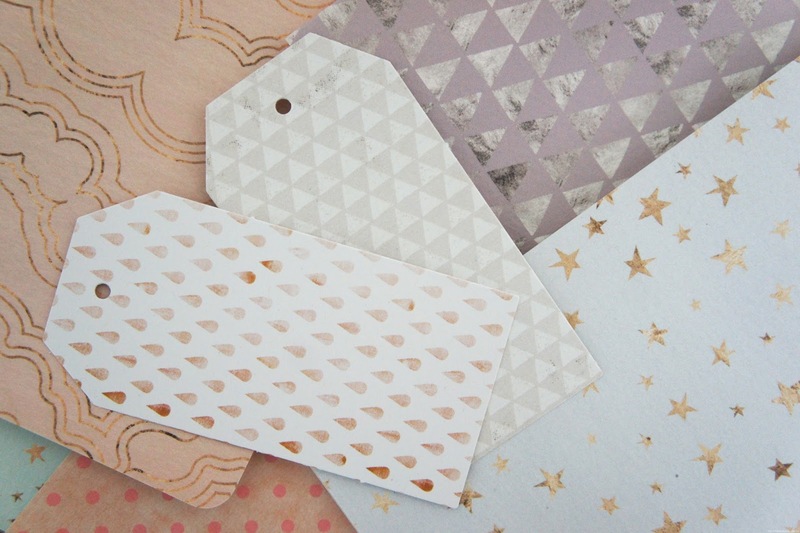 My top picks from this month's box would have to be the triangle print cards and pretty gift tags. I've been a subscriber since day one but with it's beautiful colour palette and simple prints I think this box might be one of my favourite #paperhaul collections to date! If you're interested in treating yourself to the next #paperhaul box you can sign up at Crafty Creatives for just £10 a month. Got mine in the post the other day too! Such a pretty box!